Promoting youth entrepreneurship in Hawai’i, STEMD² proudly supports the BizzyB Earth Day. 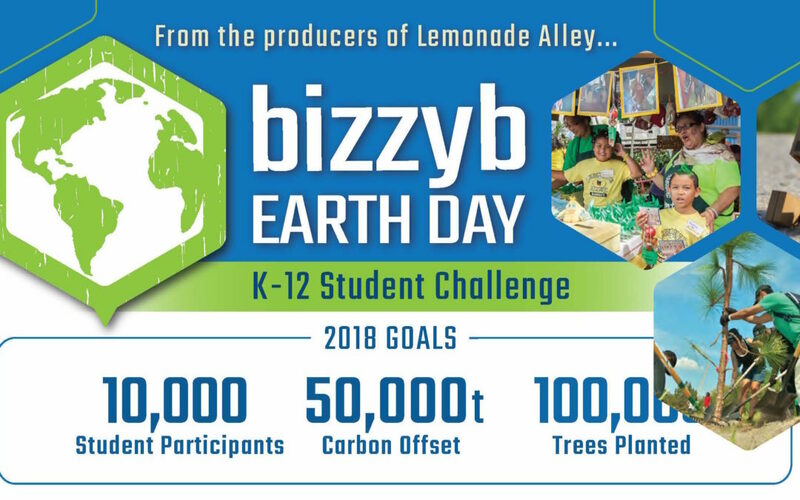 BizzyB Earth Day is a global eco-challenge for K-12 students, to learn entrepreneurship, eco-stewardship & charitable giving through social venture projects. Create a stand from recycled materials & support a charity. “Billion Trees of Aloha” is a tree planting program. Create games from recycled materials & support a charity. Create products from recycled materials & support a charity. …support your ala mater, employee’s kids, youth groups or your own kids. Provide Project Packages ($20/student): support your ala mater, your employee’s kids, youth groups or your own kids by purchasing BizzyB Project Packages. Each Student Package contains four 30-day access tokens to Earth Day Projects at BizzyB.com. Provide Prizes: create a prize to convey a special message or mastery achievement. Prizes don’t have to be expensive, but carrying a positive message is encouraged. Volunteer to Mentor: adult mentors are welcome to apply to become student team advisors. Mentors will be vetted and certified to comment on project content via mobile devices. Promote Earth Day: use your influence sphere to engage students, teachers, mentors and organizations in the Earth Day challenge. Student Marketplace: if you’re a Hawaii student, you can reserve space in the Student Marketplace. Aggregated Results: results will be displayed on a large screen.